HockeyProspect.com’s Director of Scouting, Mark Edwards is a regular guest analyst on the Hockey Prospects Show on SIRIUS XM NHL RADIO. Mark joins radio hosts Russ Cohen and Shane Malloy on the first nationally broadcasted weekly radio program to feature future National Hockey League players and their development. 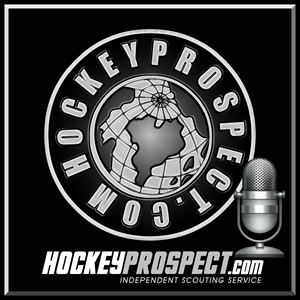 The Hockey Prospects show features NHL teams prospects each week in one hour of the show and then turns it’s focus to the current seasons NHL Draft Prospects in the other hour. Each radio show features in depth analysis as Shane and Russ interview scouts, coaches, general managers, media, sports physiologists and players. Tune in each week to find a new and different perspective on the world of hockey prospects. Every Saturday on Sirius NHL Network and the show also airs on TSN Radio in Montreal, Toronto, Ottawa, Hamilton, Winnipeg, Edmonton and Vancouver. HockeyProspect.com scouts join the hosts to discuss NHL Draft eligible prospects. The show also repeats on Sunday mornings. To Listen to segments click here. We are back on The Pipeline show for the 2018/2019 season. 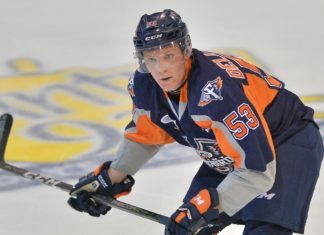 HockeyProspect.com scouts will now be guests once per week on The Pipeline Show which is recorded in Edmonton. Every week a different @scoutingservice scout will join show host Guy Flaming to talk about some NHL Draft eligible prospects. The show airs Tuesdays and Saturdays. You can also access archives of the shows on the shows website.